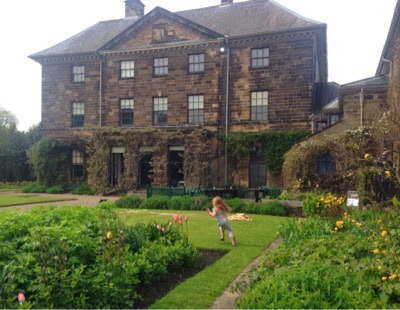 Lat year when we were visiting Preston Park and were recommended to also pop into nearby Ormesby Hall. 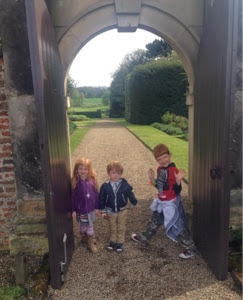 Ormesby Hall is a National trust property and we are members and therefore entry would be free (otherwise entry is £15.50 per family inc gift aid) so we thought why not! I am so pleased we decided to visit this hidden gem as it had so much to offer. 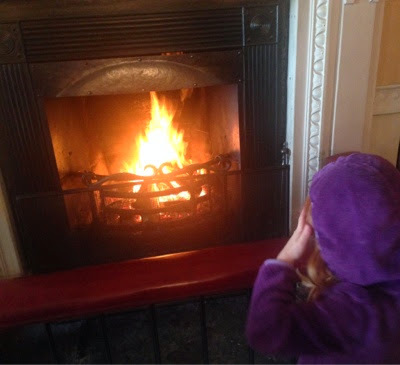 We entered the hall and were immediatly welcomed by a huge roaring fire and a very friendly host who told us a little bit about the property and asked us if we'd like to take part in a quiz. Our 3 and 5 year olds were probably a little too young for the quiz but it was perfect for my 7 year old. 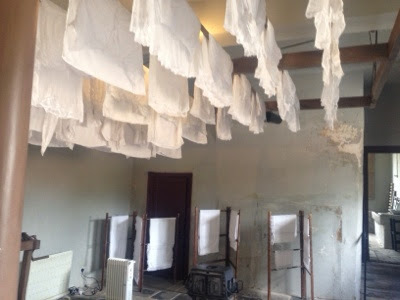 As we walked around various rooms the guide in every room helped us answer the questions on our sheet and it was lovely hearing their stories and a great way to engage our children in the property. Our favourite story was that of a naughty squirrel who sneaked into the drawing room to steal some of Mrs. Pennyman's chocolate. The 18th Century mansion is a joy to walk around. 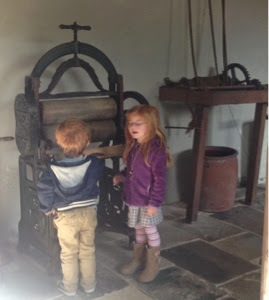 Most things cannot be touched or handled which can sometimes be difficult when trying to navigate 3 children around the property however we managed and the guides in all of the rooms were very kind and understanding towards us. We completed the quiz and all learned something along the way. We decided it was time for cake. 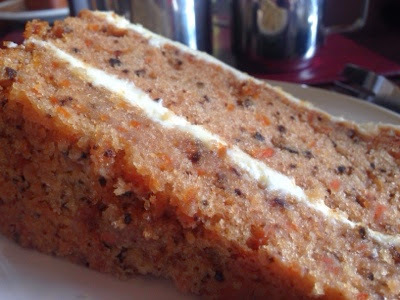 How can anyone visit a national trust property and not stop for cake I will never know. Check out the cake table! 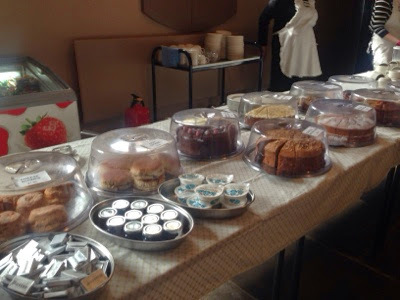 We were in our element and had about 10 cakes to choose from ( priced at £2 per slice). This tearoom was very small and only served cakes/scones but they were very, very good and the staff were very accommodating towards our children (and their crumbs). 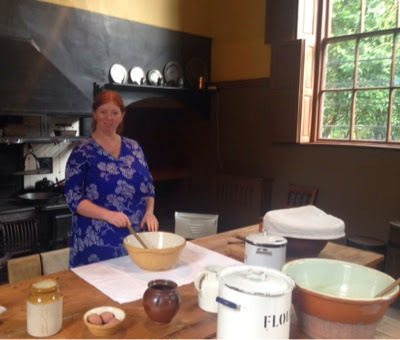 After our re-fuel it was time to have a quick look in the Victorian kitchens and laundry next door. These were absolutely amazing! I would kill for a kitchen like this! 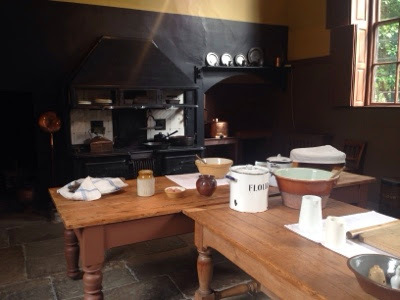 There are special weekends throughout the year when volunteers bring the kitchens to life which would be fantastic to see. My three year old knew there were train sets at this property ( why did we tell him) and was asking constantly to see them next so we decided to climb the stairs and check them out. 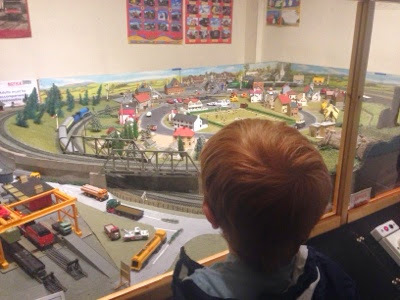 There was a room with a large model train set operated by a volunteer and plenty of available stools for children to stand on so they could see but the really exciting part was a complete Thomas and friends miniature train set which children could operate themselves. We are huge Thomas fans in our house so this was a real highlight if our day. The sun was just starting to peek out from behind the clouds which meant we could enjoy a quick stroll around the garden before leaving. A quick stroll turned into an hour of fun as there was so much to enjoy. 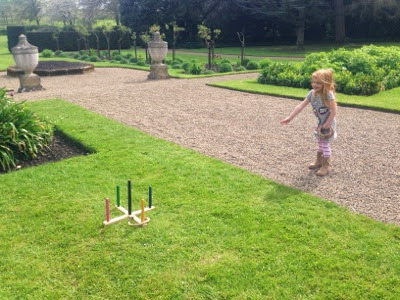 The children enjoyed playing games on the lawns (lots of space to run around) while I chased some bee's trying to get a good picture! Didn't happen today though. They are so quick! 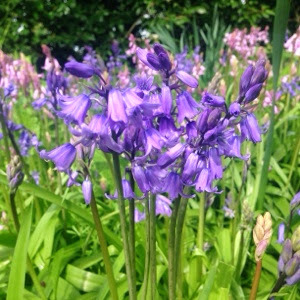 There were some beautiful flowers to photograph though and some lovely places to sit and take in the gorgeous countryside. The boys enjoyed one last quick game of frisbee on the large lawned area before it started to cloud over which was our signal to go home. 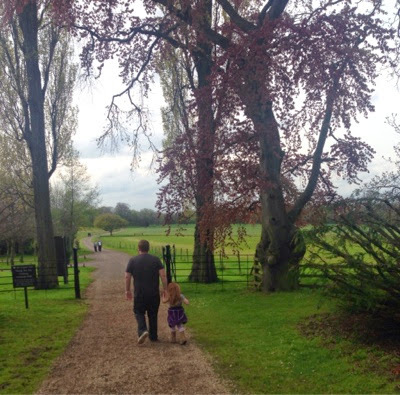 We had such a lovely afternoon at Ormesby hall and I am very pleased we were recommended to visit otherwise I might never have had this experience. We will be back. Make sure you check out their website here before visiting as opening times vary.